First, a thank you to all the men and women who have served our county with great honor to keep us safe and free , a heartfelt thank you. May God bless America! 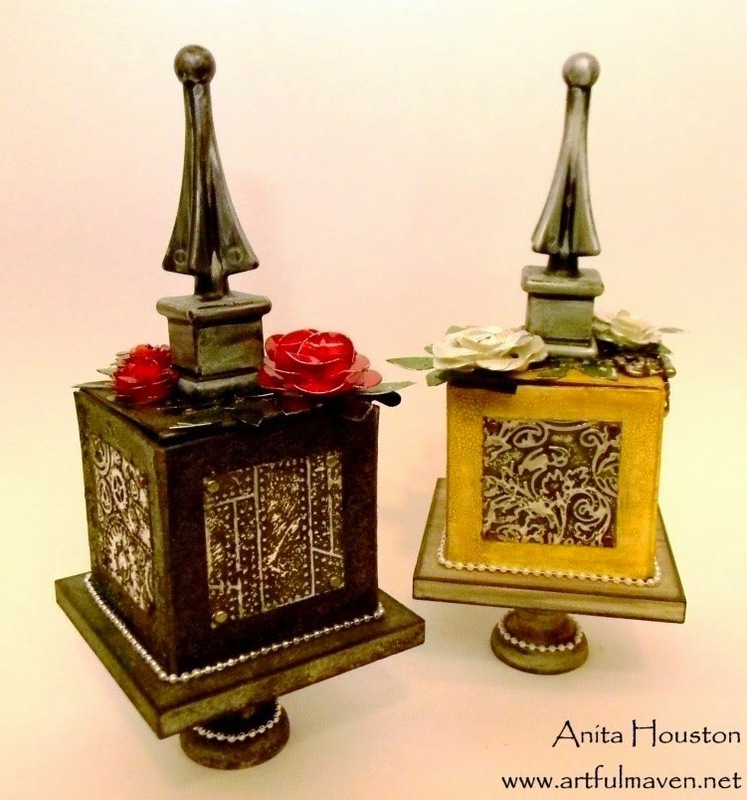 I used the Tim Holtz Custom Metal Knobs... isn't it cool? The letters are from Maya Road, colored with my Copics and then topped with Glossy Accents. I used a couple of different travel lines throughout the book... Authentique Abroad and Now Boarding by Kaiserkraft. I will have the full album loaded on my blog. We are all so excited to have Wendy back to the store. She is an amazing teacher, teaching you techniques that will amaze you. Wendy taught at my store years ago before she had her stamp line and signature line with Ranger, I knew then that this lady was going places. Her style is unique and eclectic with an exceptional attention to detail and a fresh approach to the creative spirit. 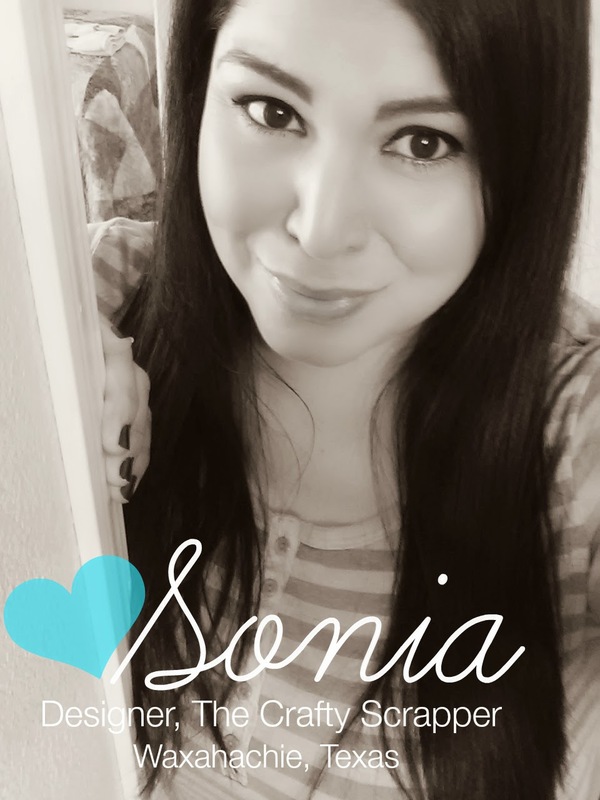 She shares her love of techniques on her blog and reminds you that whatever you do each day just – "Make Art!". Let's mix media and MAKE ART! 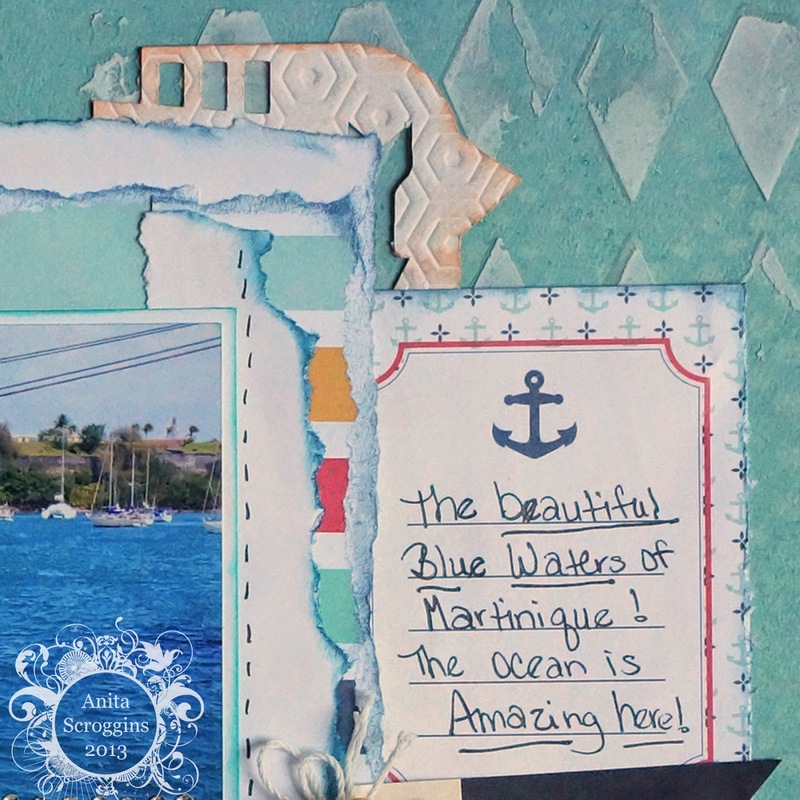 Come join us and spend 2 full days focusing on mixed media and art journaling. We'll be creating a large art journal. YES...it's LARGE... 9 inches by 7 inches. 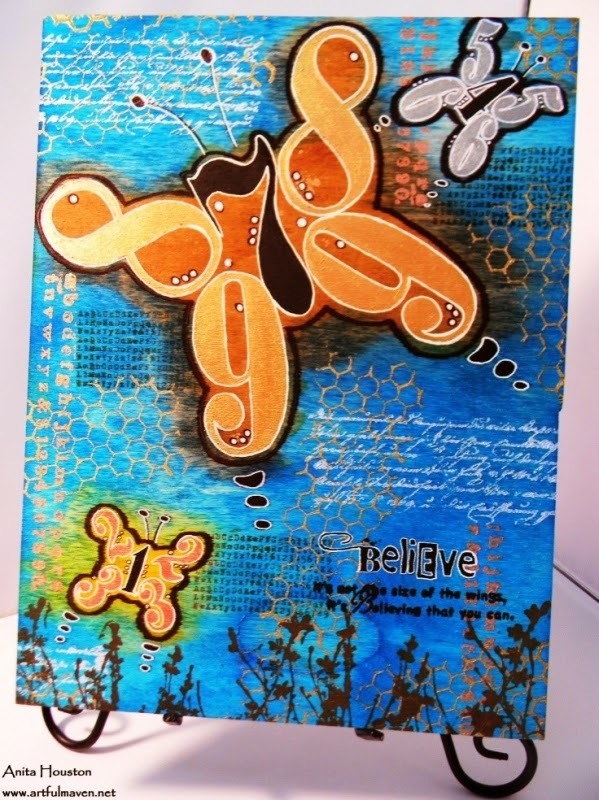 We'll start by creating the journal covers using my art parts, archival inks and embossing pastes. When the covers are complete, we'll work on our art journal pages. Each page will have a technique as it's focus. 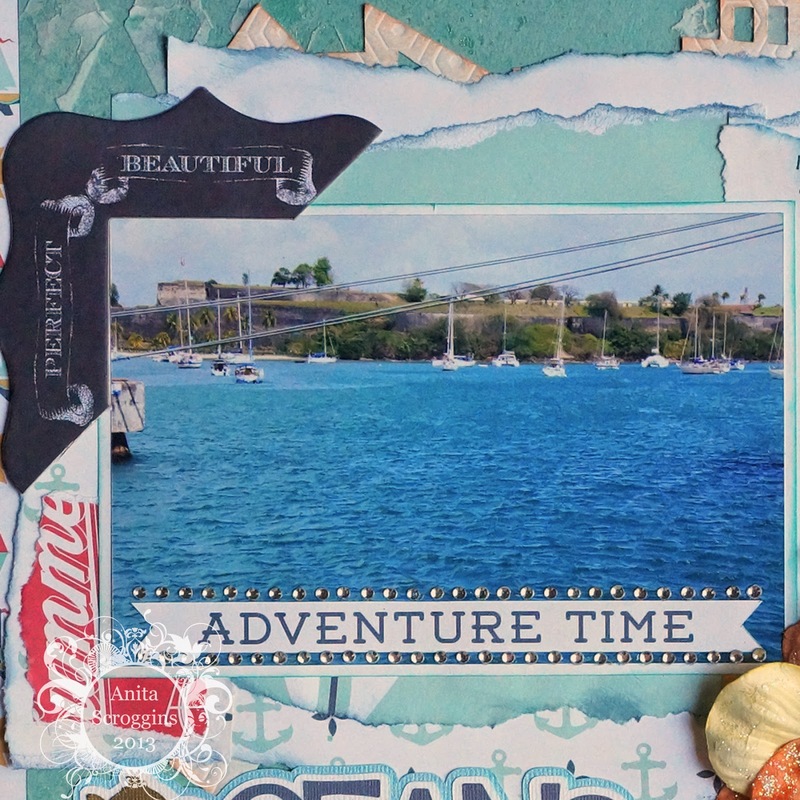 Since it's a mixed media weekend, we'll be using lots of fun supplies like embossing pastes, archival inks & reinkers, distress inks & stains, remnant rubs, idea-ology and much more. You'll learn new techniques and how to use your products more than one way. 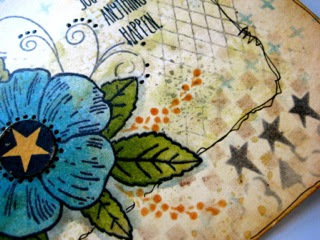 I'll provide plenty of choices for stamps, stencils and ink colors, so that you can customize the journal and make it totally YOURS. 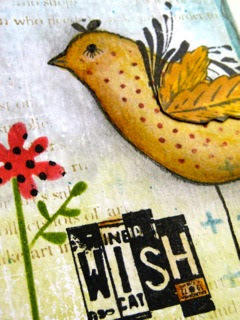 We'll ink, stamp, stain, emboss, collage, stencil and...MAKE ART! craft sheet, ink blending tools & replacement foams, wet paper adhesive, and scissors. I CAN NOT WAIT to make art! I hope to see you there! by Echo Park called Summer Bliss. When picking out papers, I love to try to match up the papers with my theme of the card. My cards today are perfect examples of that. Do you see that the paper I picked for the first one has ice cream cones and other treats to match with the cone I made out of a cardstock triangle and a scallop oval? 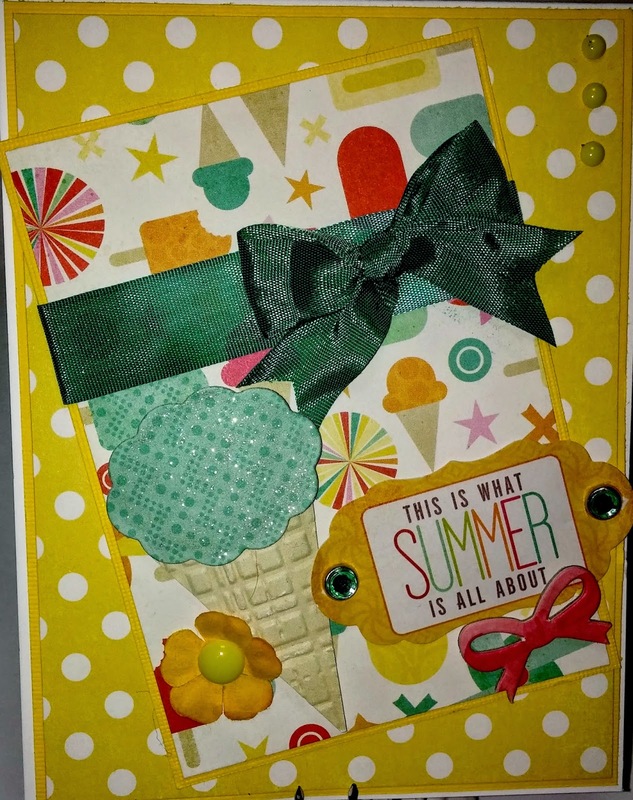 From there I added some other fun elements including a pre-printed label about summer, a chipboard bow, and ribbon. By the way, the ribbon started out white but I changed the color by swiping Distress Ink on it! And if you look closely, you might see all the glitter on the ice cream scoop I added with the Wink of Stella pen! You might remember, I always finish the inside. 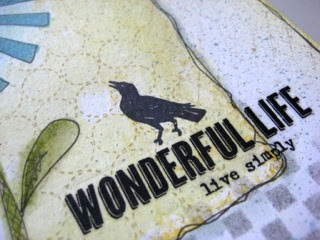 A stamped sentiment from My Favorite Things was a perfect match! On the backside of the yellow dot paper, was an all over print with birds. 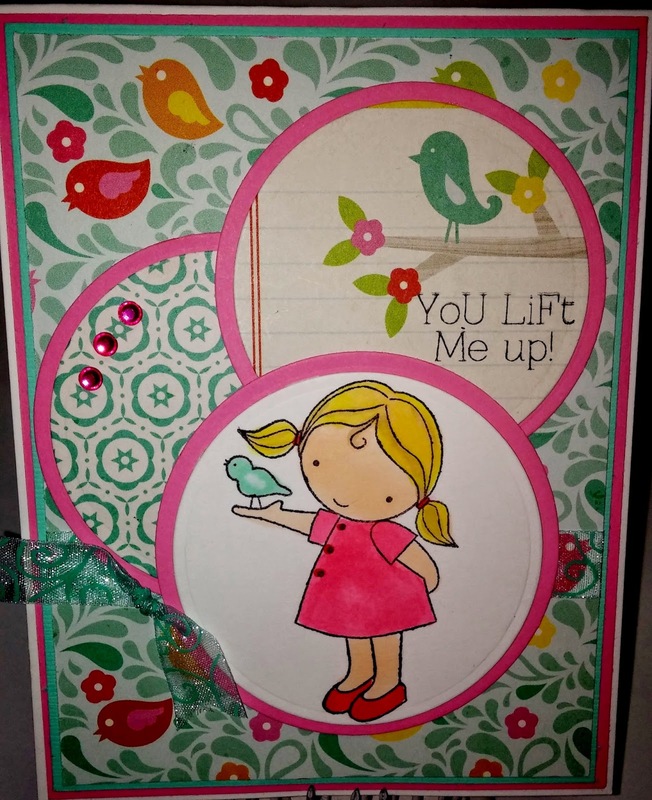 I decided it would be a perfect match to use with the Darcie's stamp set of a little girl holding a bird. I added the sentiment "you lift me up" from the same set. 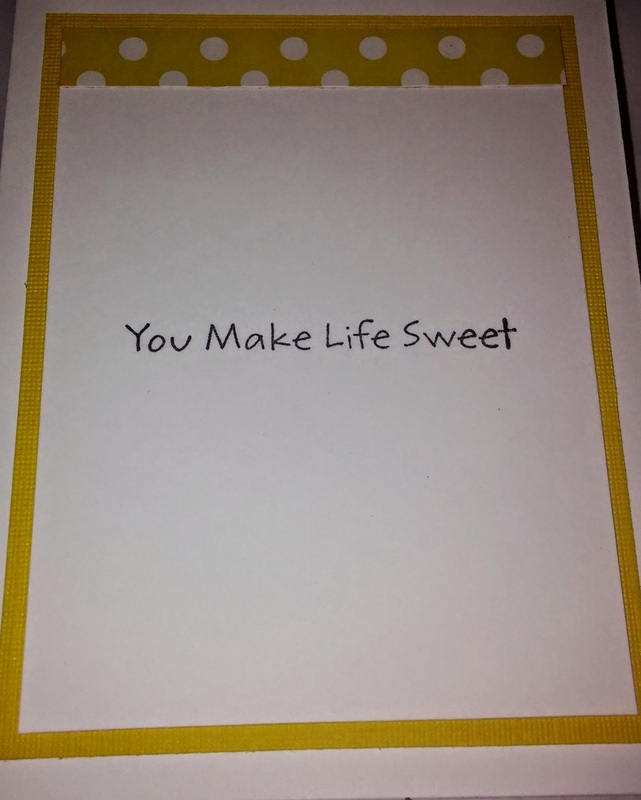 It could be a wonderful encouragement card for any occasion. 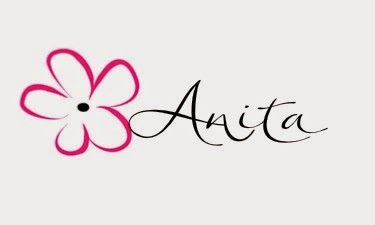 You can find all of the products I used at our favorite store, The Crafty Scrapper! Hello! It is Ginger here today with my layout for the Design Team at The Crafty Scrapper! I love this sweet photo of my granddaughter Paityn. It goes so well with the lovely paper by Crate Paper - Oh Darling Collection. I distressed, inked, added modeling paste, spray and then added color to the modeling paste. I used modeling paste and then added green stickles and used a fine tip marker to make it stand out more. I also outlined the word Cutie! I used ink spray, inked the little girl, added flowers and leaves by Sizzix. I used ribbon, flowers, made the little tags and secured them with cute brads. Last but not least I painted this wooden piece and wrote Paityn! Thank you for taking the time to look at this layout. 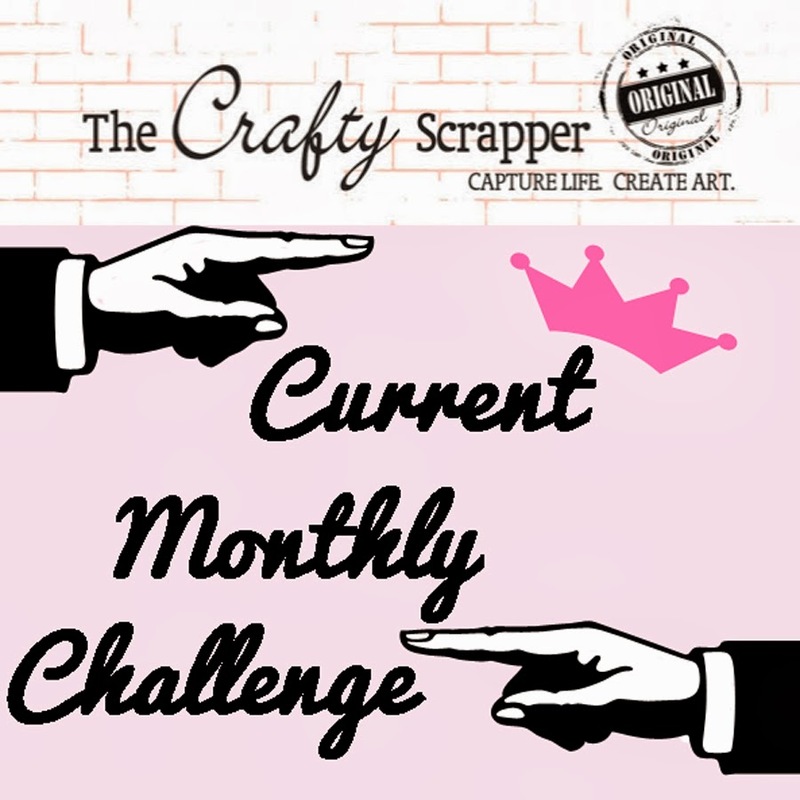 Please visit The Crafty Scrapper! I got out the blank chipboard and cut this way and that. I first saw a 3D car, but my creative skills didn't expand that far. Tried to build a robot but nope no luck there either. As I sat and stared at this paper I knew I just had to wait for the light bulb. I finally picked up on the Gameboy shape of some extra album pages laying on my table. From there, I was off. Before I put on the paper I painted the background paper with chalkboard paint and cut out this frame from extra chipboard. The monsters are also Crate Paper embellies. Now I am one of those odd people that sometimes like making projects that DON'T have any pictures in it. Since I didn't have any of the boy kind that fit this paper anyway, I went the "conversation piece" route with this one. I deconstructed one of the Crate Paper embellies and put the accordion from a flower around a Maya Road bottle cap to make this totally awesome flower. I left the back of all three of the interior pieces blank for two reasons. One, space inside the box. Two, so that pictures could be added if I gift this project to any of my friends who do have video game carrying little boys. This project is on display down at The Crafty Scrapper! How is the weather where you are?? Isn't it super freaky this year? here for days and the temp is down to the low 60s today. Not that I am complaining! using some really cute new Echo Park Papers!! How cute is this new paper!!! 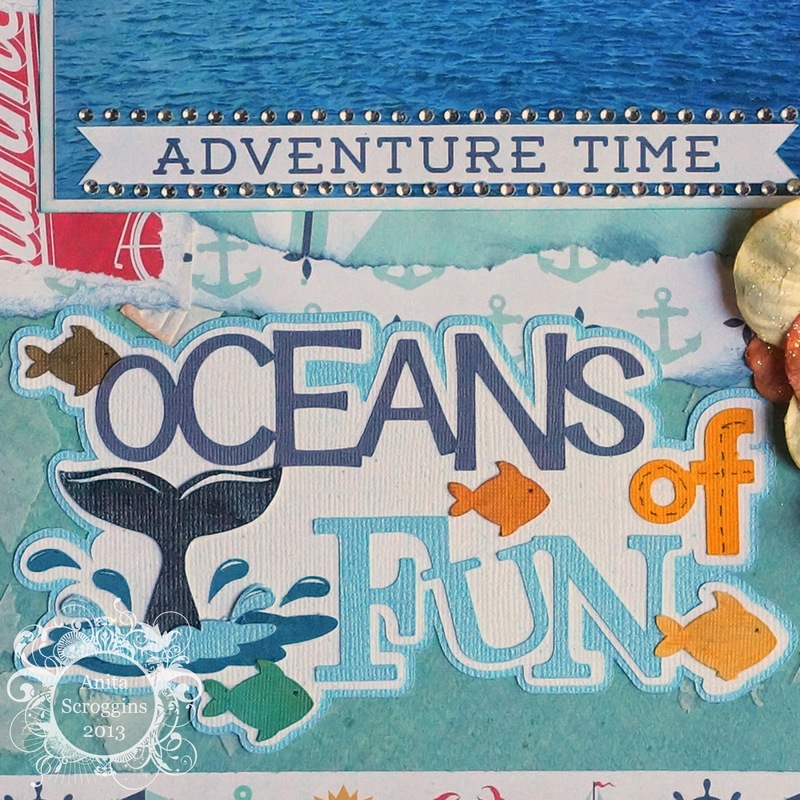 It is Summer Adventures from Echo Park- be sure to get yours before it is all gone! If you are not near the store, remember- they ship! I used a stencil and Molding Past to add some texture to my background. 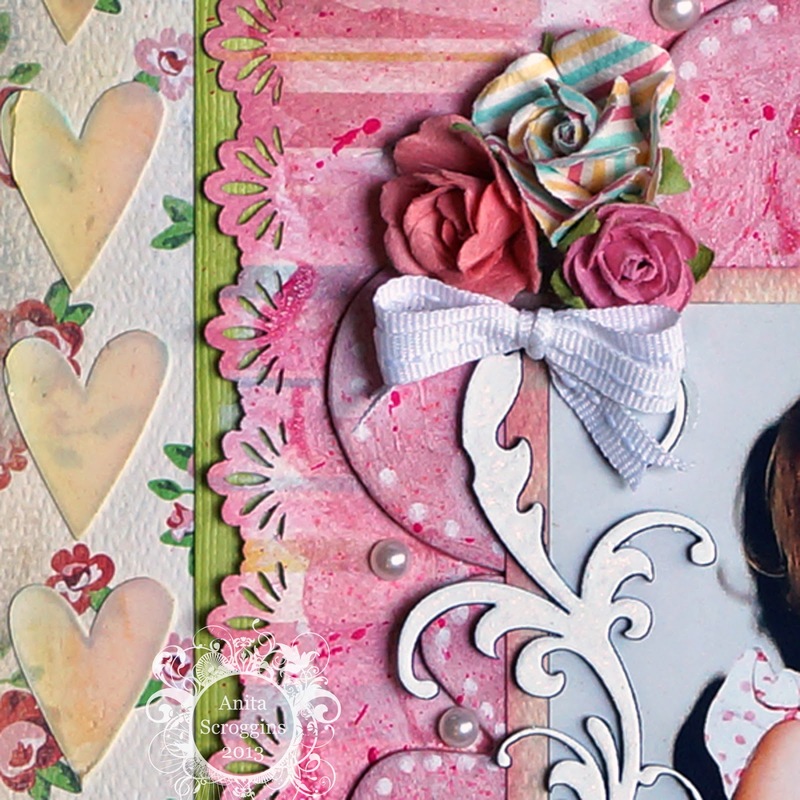 The flowers are Vintage Prima and the chipboards are Blue Fern Studios. I used my Cameo to make my layered title using Bazzill cardstocks. on how to use your Cameo starting in June/July. The journal card is also from the same paper line, and I used torn strips from the line to make a layered mat for my photo and inked them with Powder Puff ink from Quick Quotes. The word art here is trimmed from one of the Journal Cards, and I added a little bit of bling down each edge to make it pop. In the upper corner I used a square chippie from MME to accent- I cut it in half so it would fit where I wanted it. These are also available at the store. Hi everyone! It's Patty again with a layout for the Crafty Scrapper. The photo is of my daughter when she was 15 and her little cousin. 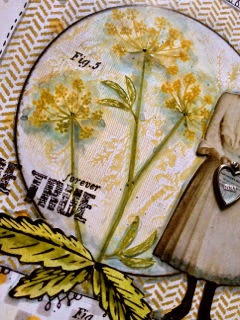 It was a treat to use Studio Calico papers, American Crafts chipboard embellishments, Prima flowers The Crafter's Workshop, Heidi Swap Color Shine and May Arts ribbon. On this layout I masked, stitched, painted, inked and did some 3-D work. You can see the modeling paste and the wonderful texture this fun technique created. Thanks for taking a peek at this layout. I hope to see you at The Crafty Scrapper! May Blog Challenge- USE LAYERS! Hi to all my friends in blogland! any project is eligible to enter- it doesn't have to be a layout! This is my Sweet Baby Jade at 11 months old! She was so cute back then! 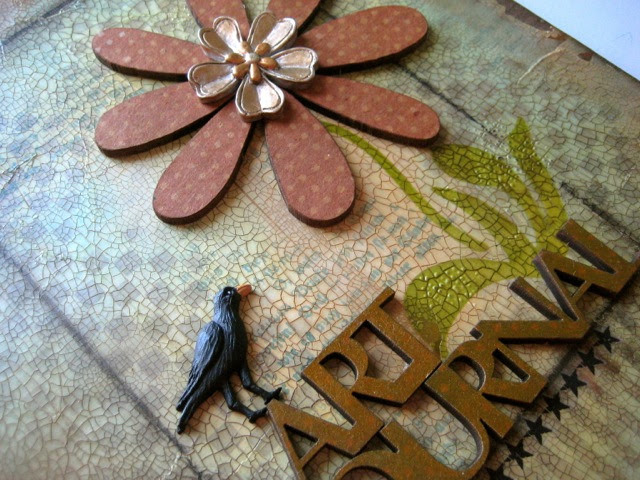 I have used Carta Bella papers and chipboard to build my layers. I wanted to use this cute polka dot paper to match her swimsuit, but I didn't want a huge piece of it. I cut one strip to show the dots and added it across the page from the photo. I added machine stitching along the edges. 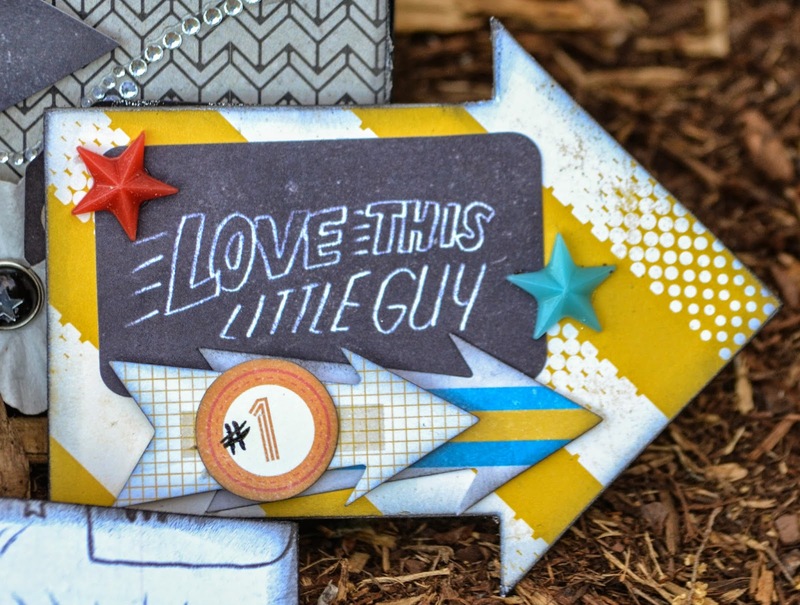 The punch used here is from Fiskars and I added some faux stitching with my PITT® Artist Pen from Faber-Castell®. I mapped out where I wanted my photo to go, then I arranged chipboard pieces around the outer edge until I was happy with the way they looked. Once everything was glued down, I put two thin coats of gesso over the whole thing and spread it out around the area onto the page as well. Let dry completely. Add you color how ever you want- I used some pink Glitter Glam from Heidi Swapp- I just painted a heavy coat over the whole area; let dry completely. When everything was dry I splattered some pink paint over the whole layout. I used my Stamper's Big Brush Pen in White to add accents around the outer edge of the chipboards and added some pearls from Queen and Co. Here is a closer look. 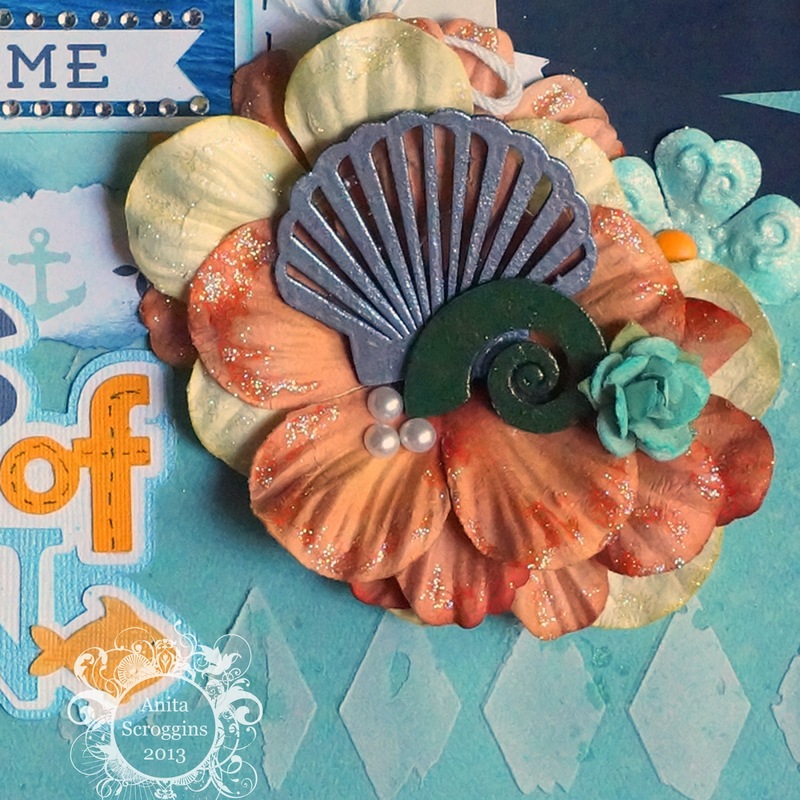 The Chipboard title is from Blue Fern Studios and I heat embossed with Raspberry Tart from Sparkle N Sprinkle. To add another layer at the bottom, I cut my paper and punched the cut edges, folding them back. I added a doiley that I have had for YEARS underneath, some brads, buttons and flowers. Flowers are Prima, buttons are from Imaginisce. 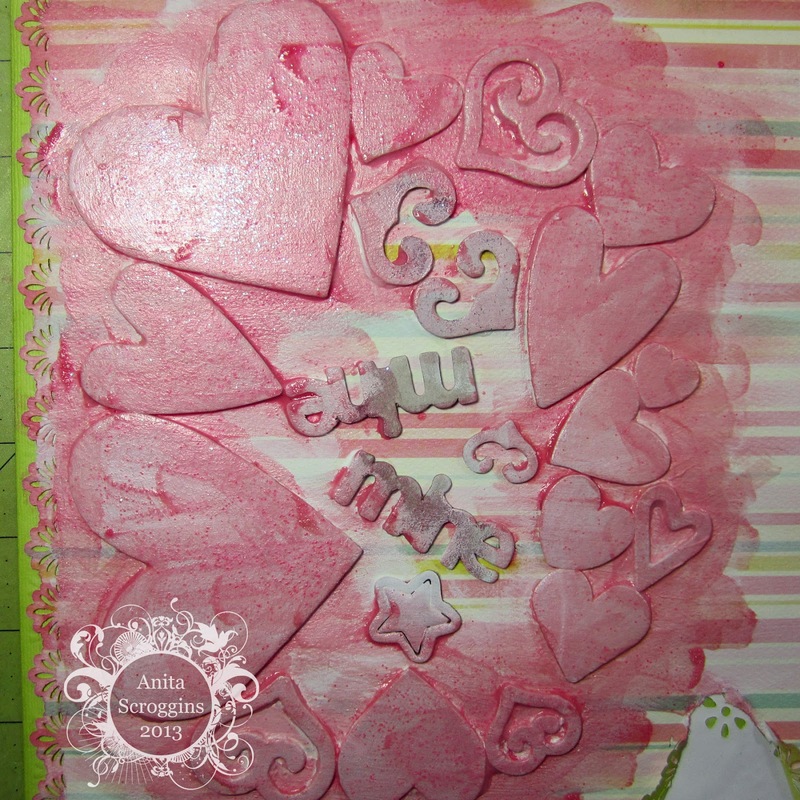 The hearts on the side were made using a Wendy Vecchi stencil and embossing paste. When it was dry I used two colors of Gelatos® to color them. You have until May 31st to link up your project below. Be sure you are linking directly to your blog post, and NOT your main blog page. to celebrate National Scrapbook Day?? I hope you got some great projects done. have you signed up yet? Be sure to get in before they are all full! It's always interesting to take numbers or letters and make pictures out of them, but instead of doodling them out on a memo pad while talking on the phone, you can create a piece of Art to cherish for years to come using those same doodles. 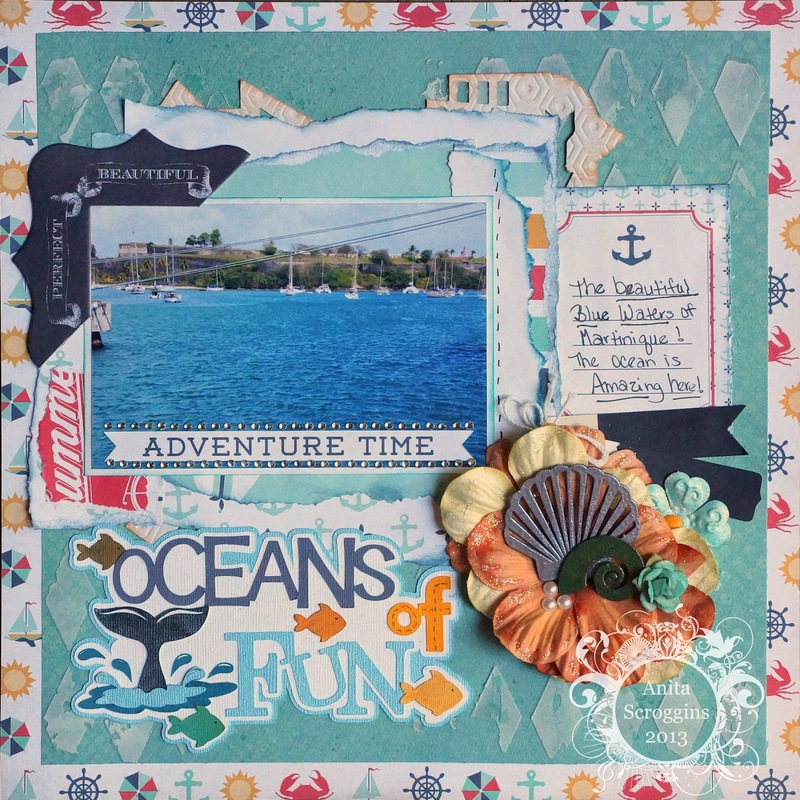 In this class, you will create a whimsical and fun piece of Art that has so much character. You will use paint and ink sprays on a 9x12 inch wood panel canvas, which adds to the interest as you can see the grain of the wood, giving the piece a textural quality like nothing else. Students Will Need: Scissors *Note: You will be using Dylusions Ink Sprays, so you might want to wear an apron. Using the Techniques: Cracking, Altered Metal, Metal Foliage. It's so nice to have decor around the house that you've actually made and that is functional! In this class you will make an Artist Trading Block, which is all the craze, that is beautiful and useful to store candy, trinkets, whatever. You will get your hands dirty making an elegant piece to cherish and display, as well as stash a few goodies. What You Need To Bring: You will not need anything, but it you choose you may bring an apron, scissors, liquid adhesive of your choice. 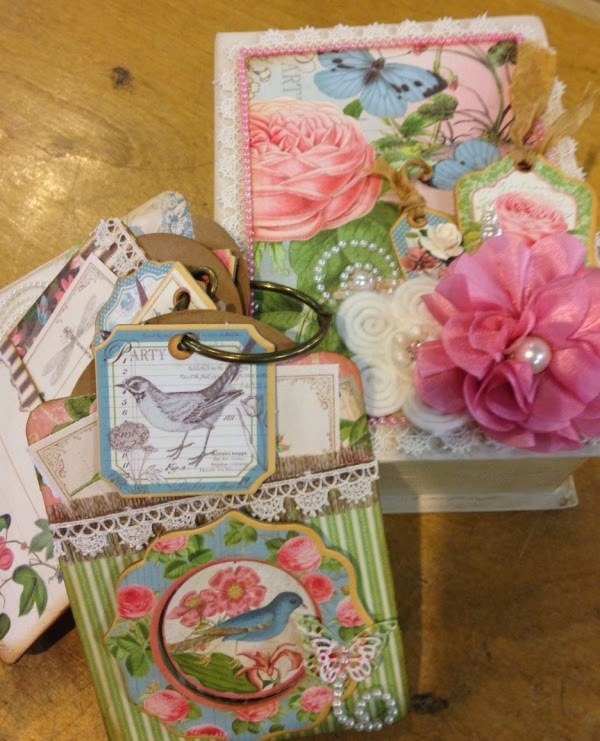 Come and join me to create this beautiful keepsake box using the Graphic 45 Botanical Tea paper collection. 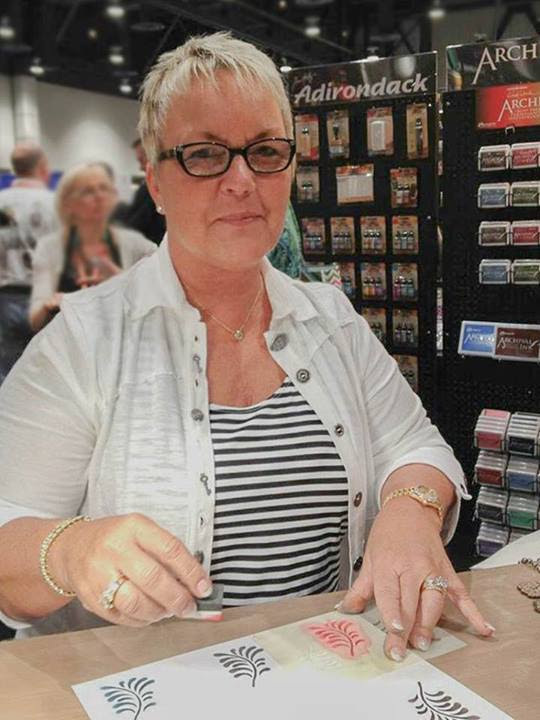 We will also use the new Wendy Vecchi crackle paste to create beautiful texture on our boxes. This would make a great Mother's Day gift! 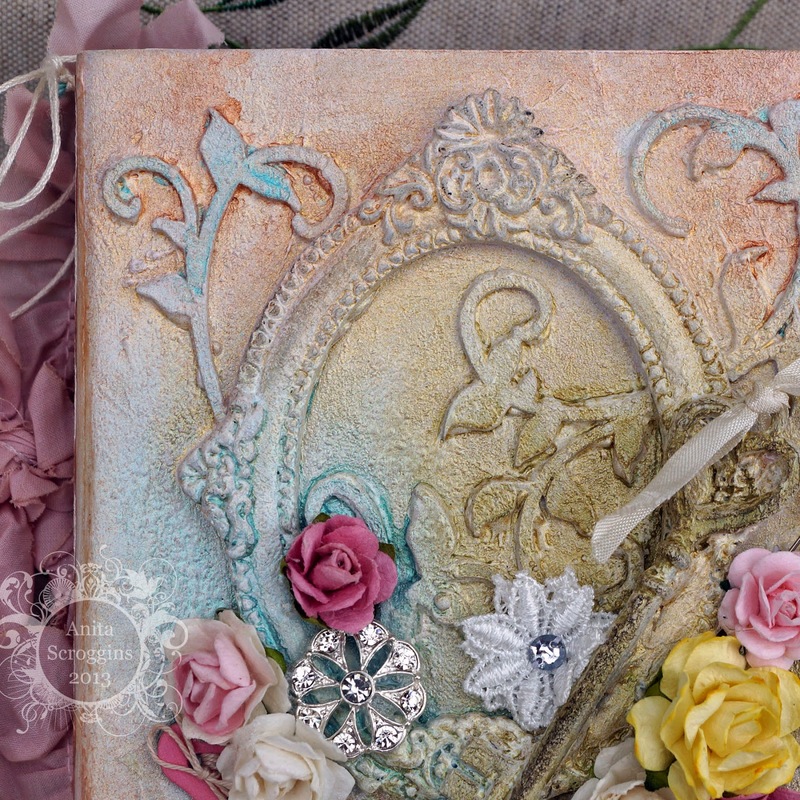 Come join me in making this fabulous vintage inspired photo album. We will use mixed media techniques alter the book cover- painting, spraying, adding texture- lots of techniques to get this wonderful effect. 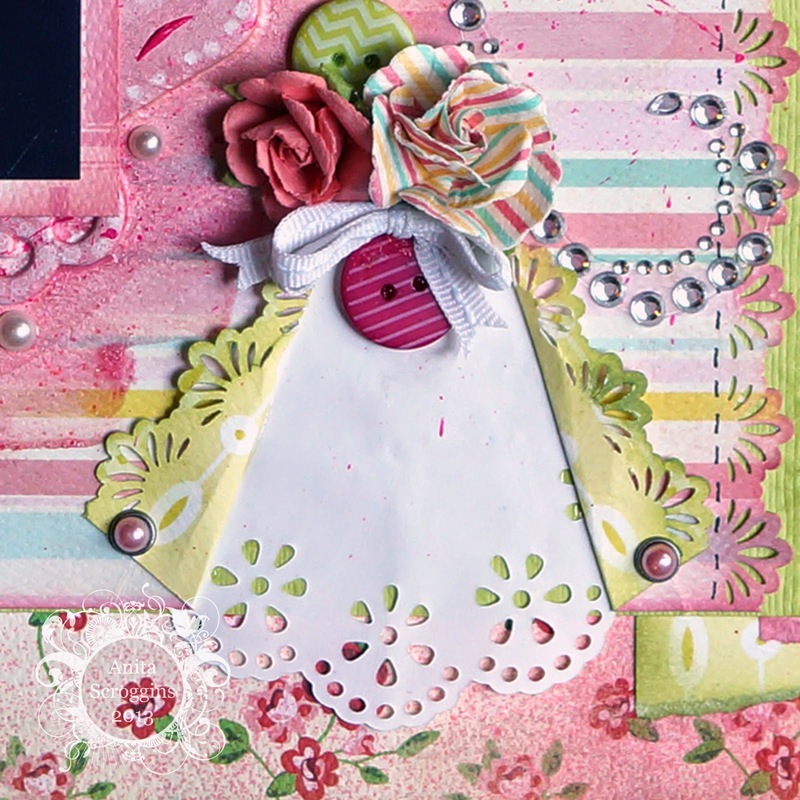 We will be using Prima's new line of paper and embellishments- they are a beautiful vintage floral. 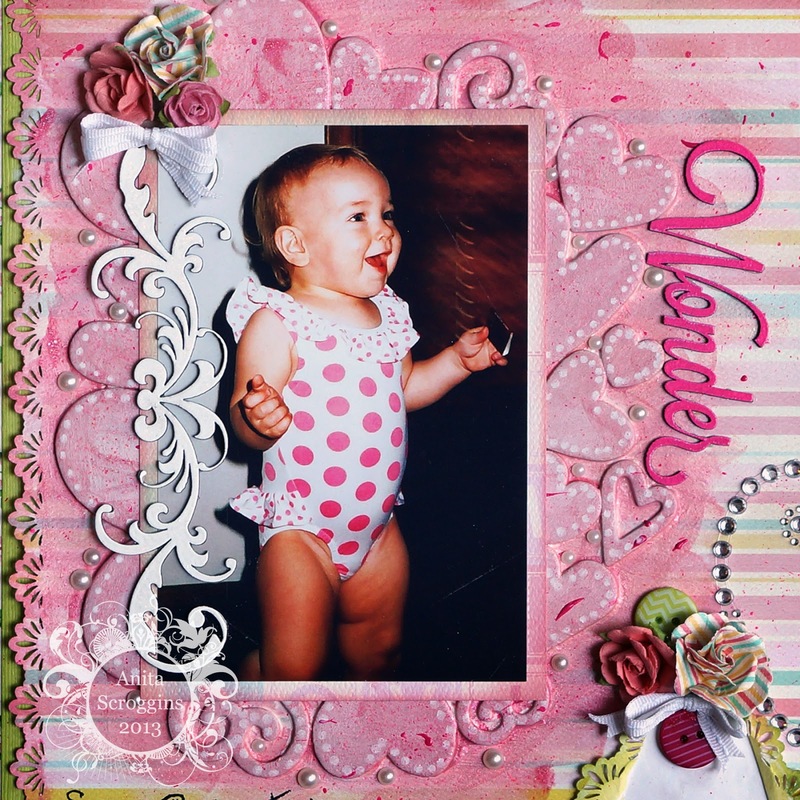 A Maya Road chipboard album is our base and we are adding lots of Maya Road goodies to the book as well. 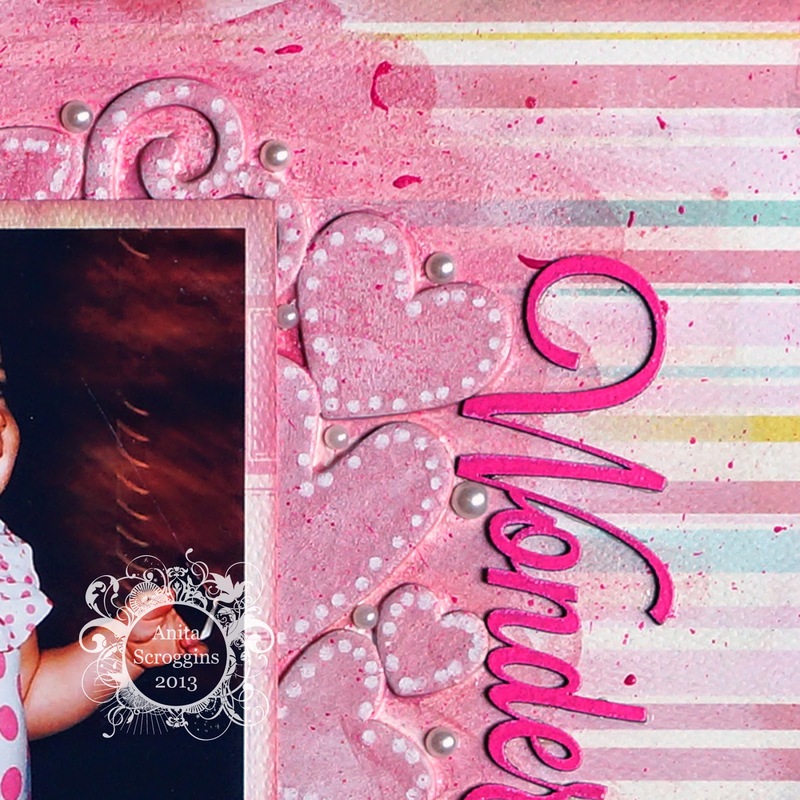 This little photo book would be a wonderful gift for Mother's Day, a Bride to be, or a sweet little girl in your life- or just keep it for yourself to shoe off your favorite photos! You will need: Craft Mat, Heat Gun, Crop-a-Dile, Paper Piercer, Border punch, corner rounder, paper cutter, paper and craft scissors, wet glue for paper (Scotch Quick Dry Adhesive is my favorite) , Beacon 3 -n 1 or something similar for ribbon, dry adhesive like a tape runner, sander, paper distresser, pencil, and a black journal pen. Too see the full list of upcoming events, check out our Events Page. 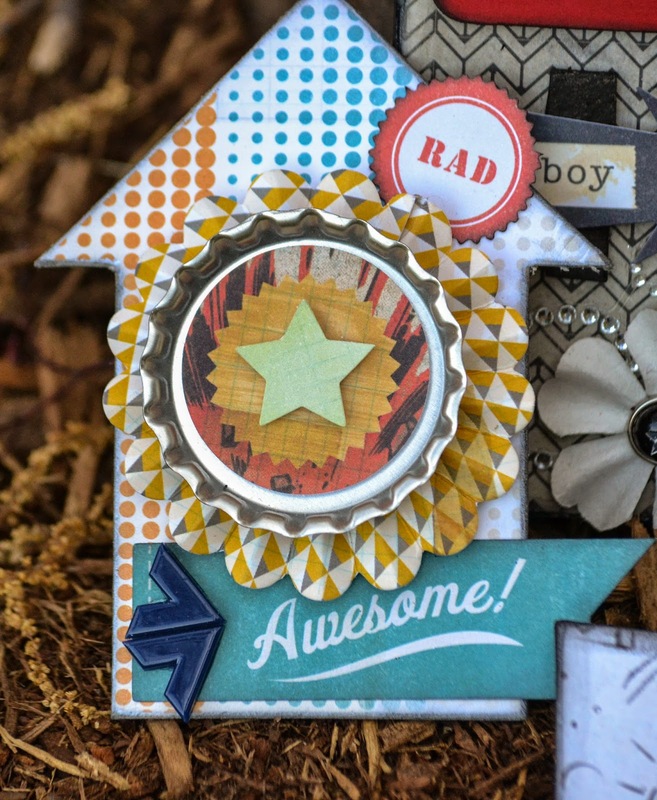 Happy National Scrapbooking Day (NSD) from The Crafty Scrapper! This is Design Team Member, Sonia Doneghue, coming at you live from the annual National Scrapbook Day Retreat in Milford, Texas. The gals have rolled in from all over North Texas and even the Hill Country to celebrate 3.5 days of creativity, delicious food, laughter and camaraderie over our love for crafting. As we say in Texas, "go big or go home" and the ladies at The Crafty Scrapper know how to throw a Texas sized craft party. But what's a party without gifts? Each retreater received a gorgeous mason jar project complete with all of the items needed to create this magical fairy scene. Carolyn and company will also host random prize drawings throughout the weekend and I have to say that they truly thought ahead and provided each of us with a brand new Crafty Scrapper Tote complete with craft goodies and enough room to carry our prizes home. Plus, on Sunday, one lucky lady will leave Milford with a Spellbinders Grand Calibur Die Cutting/Embossing Machine and 3 die sets. I hope the grand prize winner has room in their vehicle because the amount of crafting supplies that arrive with each person is quite ridiculous but oh so necessary. And if you ask any of us, yes, we do need all of those things and much more too! In addition to catching up on our own projects, Carolyn and Gena are hosting make-n-take stations. 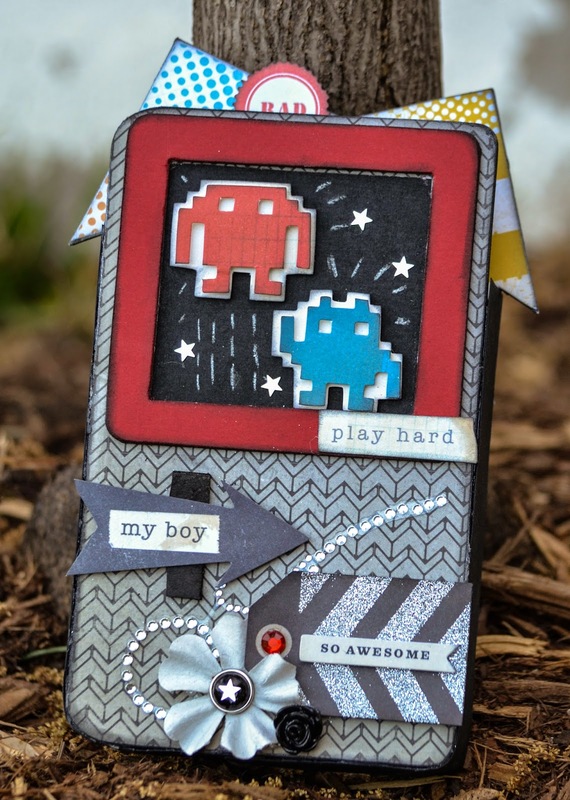 Each make-n-take is quite unique and allows us to work with the latest craft products plus learning new techniques is always a bonus. One of the make-n-take's is this neat little tin by the kind folks at Maya Road that donated the material to make these fabulous pieces of art. Thank you, Caroline. You and your laundry basket are missed. I took a HUGE gamble and didn't bring any paper crafting supplies. Instead I am giving sewing a whirl. I churned out my very first dress. Details on my blog soon. Lots of scrapbooking going on --after all, we're in the business of preserving memories! This is actually a VERY TIDY version of a scrapbookers work table. We tend to get a bit messy. You can see more behind the scenes photos from our weekend on The Crafty Scrapper Facebook Page. We hope that your weekend is filled with crafty goodness and to further commemorate National Scrapbooking Day 2014, visit The Crafty Scrapper today, Saturday, May 3rd, and wish the associate behind the counter a Happy NSD to receive 10% off of your purchase. Doors open at 10am and close at 5pm.